VSolar Group Berhad. VSolar Group is principally an investment holding company investing in power generation using renewable solar energy. VSolar presently has 1 Mega Watt solar farm in operations supplying to the Malaysian national grid via a 21-year Power purchase agreement. VSolar is presently looking at expanding the solar farm under management to 20 Mega Watts. Focus Dynamics Group Berhad, is currently expanding its F&B business with its successful launch of CHAZE and LAVO. CHAZE is a leading speak-easy bar in Malaysia. The F&B division strives to provide a wide variety of F&B services ranging from high-end lounge/wine bars to Western-Asian full-fledged restaurants with the aim to achieve significant market share in the local F&B industry. NetX Holdings Berhad was founded in 2000, NetX started off dealing primarily in the supply of network equipment and infrastructure. Today, the company pioneers the advancement of disruptive technologies through its subsidiaries in various industries, digital platforms, e-commerce and Fintech. AT Systematization Berhad (“ATS”). ATS started out as a designer of industrial automation systems and machinery. Subsequently expanding to the manufacturing of industrial automation systems and machinery, fabrication of industrial and engineering parts as well as provision of industrial support services. The principal activities of ATS include investment holding and the provision of management services to its subsidiaries. Mlabs System Berhad invested in research, and development of the flagship software known as, Multimedia Conferencing System (MCS). Mlabs will continue to promote MCS as the best high-tech communication tool of today. Asiabio Petroleum Sendirian Berhad ("ABP"), is a recently-formed, wholly-owned subsidiary of Fintec Global Berhad. ABP on 1 November 2016 entered into a collaboration agreement with Coral Alliance Sdn Bhd, an 11-year strong Topside Structural Maintenance (TSM) company. ABP aspires to be a full-fledged TSM and engineering company. ABP is presently expanding its revenue and customer base in the oil and gas sector partnering the oil majors in the Southeast Asia region. 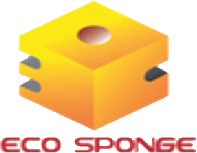 Eco-Sponge is presently involved in the production of Effective Microbes (EM) that functions as supplements to chemical fertilizers. The EM supplements which are homegrown and 100% natural greatly reduce the dosage of fertilizers, pesticides and chemical enhancers whilst maintaining a sustainable and stable high yield. EM was designed to restore the soil’s natural nutrient cycle and build soil organic matter thus enhancing the health and yield of plants, that shorten the growth cycle of agriculture produce such as cash crops.